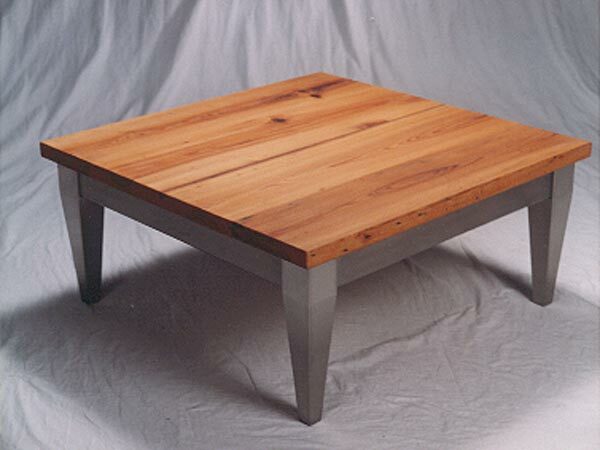 This 36" x 36" table has an old Cypress top, made from floor joist salvaged from an old schoolhouse near Lawtell, Louisiana. These two materials are impervious to the elements. Great in the salon of your yacht, on your back porch, or in the parlor of your home. All welded construction on the base. Custom sizes available.